Termination letters and e-mails were sent late last week to individuals who failed to recertify or pay their annual service fee by the April 1, 2012 deadline. If you have questions about your termination, please contact us at info@nbccam.org or 866.779.CMCA. NOTE: Many individuals have been confusing their payment for their CAI individual manager membership with the NBC-CAM CMCA annual service fee. 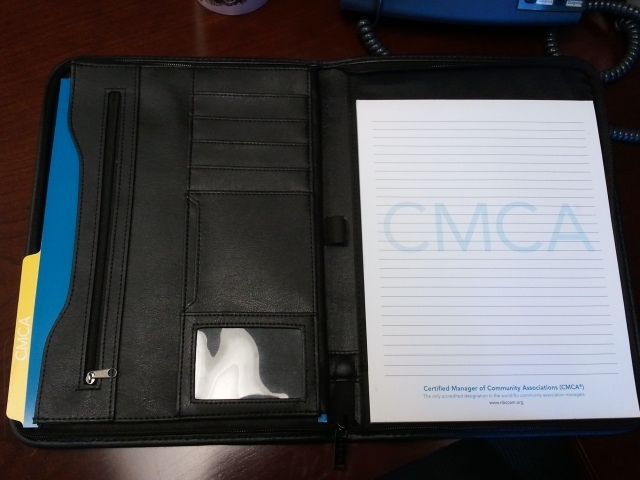 The CAI individual manager membership totals $120 or $130 while the CMCA annual service fee totals $105.00. As a reminder, CAI and NBC-CAM are separate and different organizations. Please be careful to make the distinction between the organizations and your dues. Your certification status must not have been expired for more than a period of five (5) years. You must submit a non-refundable $200 reinstatement fee and the reinstatement application. You must have continued to comply with the Standards of Professional Conduct. You will have a period of one year to complete 16 hours of continuing education. 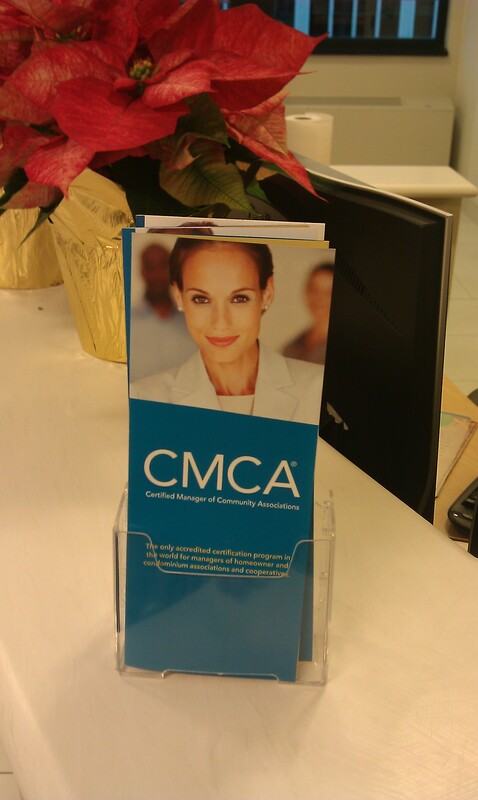 You must confirm that you have not represented yourself as a CMCA since the termination of certification. To reinstate, please complete the reinstatement application. Once the application is approved, you will have a period of one year to complete 16 hours of continuing education. When the first year of reinstatement has been completed, your recertification will be placed into the normal two-year renewal cycle. If your certification status has been inactive for more than five years, you will be required to reapply for the CMCA certification program. First notices to individuals due for recertification on October 1, 2012 were mailed and e-mailed this week. Please check your inboxes and mailboxes. To maintain your certification, you must be in good standing with your annual service fee payments, have accumulated a minimum of 16 hours of continuing education courses since you were last certified (October 1, 2010) and submit the recertification application and annual service fee payment of $105 by October 1, 2012. Continuing education hours must relate to the management and operation of community associations or be of a professional development nature such as accounting, human resources, or office administration. Visit our website for more information on approved continuing education courses. As a reminder, AMS, PCAM, FL CAM and NV CAM licenses automatically satisfy your continuing education requirement– so all we need is a copy of your ID or certificate as your proof of continuing education along with the completed recertification application. While I have enjoyed my time moderating CMCACorner, it is time I hand it off to the new NBC-CAM executive director, John H. Ganoe, CAE. John has dedicated almost 25 years to the trade asso ciation field. 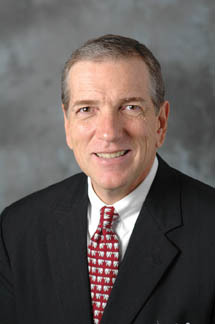 His experience includes serving for the past six years as the executive director of a credentialing program in the health arena, where he nearly doubled the number of credential holders, expanded legislative and regulatory activities and enhanced the organization’s communications with credentialed professionals, the media and other stakeholder groups. John believes that despite the successes in recent years, we can still strengthen both NBC-CAM and the CMCA credential, as well as aggressively promote the value of the credential to the tens of thousands of community associations that rely on professional managers. Please help me welcome John to the NBC-CAM family. You can contact him at jganoe@nbccam.org or 866.779.2622. Use this sample message to customize letters or e-mails to communities in your area about your CMCA credential. Prospective clients will appreciate periodic messages from you with industry information that can help them succeed. Copy, paste, customize and send the below message to prospective clients. As a board member, trustee or volunteer leader working with your homeowners association, condominium association or cooperative, your decisions can have a profound financial impact. Professional guidance can make the difference between prosperity and distress for yourself and your neighbors. 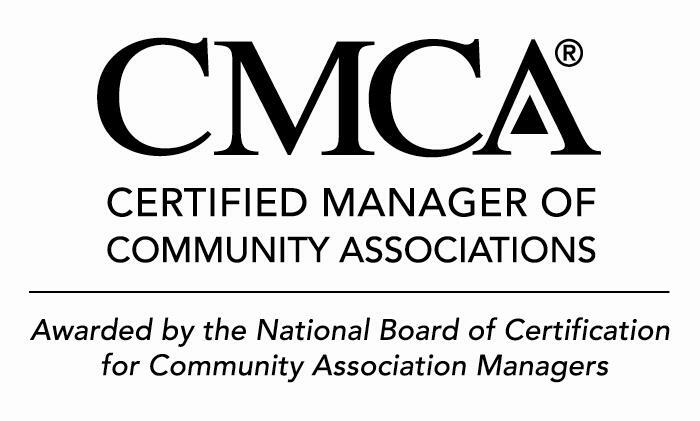 To ensure that you have the expert guidance you need to manage your community’s assets, look for managers who have earned the Certified Manager of Community Associations (CMCA®) credential. The CMCA certification provides standards for association management that can give homeowners and boards confidence in their manager’s knowledge and ability to provide professional service. It is the only worldwide certification program designed exclusively for community association managers. As a CMCA, I have demonstrated the fundamental knowledge needed to manage your association. As part of my part of my commitment to maintaining my CMCA, I must uphold the ethical standards for community association management and continue to educate myself on the issues we face every day. If you are looking for a qualified manager, I would welcome the opportunity to speak with you about how I can help your community. Please contact me for more information how I can provide you with the professional service you deserve. As you know, community associations have become increasingly popular because they help protect home values and help meet increased demand for privatization of services as public officials off-load services that were traditionally provided by government, e.g., trash pickup, snow removal, landscaping, street lighting and street and sidewalk maintenance. Below are the most recent industry statistics. Association-governed communities include homeowners associations, condominiums, cooperatives and other planned communities. Homeowners associations and other planned communities currently account for 52-55% of the totals above, condominiums for 38-42% and cooperatives for 5-7%. Estimated number of community association managers: 60,000. Estimated number of community association management companies: 10,000. Almost two million people serve on community association governing boards, with almost 400,000 more involved as committee members. Assuming the typical board or committee member spends just one hour a week on association business—and for most it’s much more than that—these volunteer leaders dedicate more than 110 million hours of service to their communities every year. Combined, the estimated value of these community association governance services is about $450 million. An estimated four out of five housing starts since 2000 have been in association-governed communities, including condominiums converted from existing rental units. The value of the homes in all community associations is estimated at $4 trillion, approximately 20 percent of the value of allU.S.residential real estate. Estimated annual operating revenue for U.S. community associations is close to $40 billion. Community and condominium association boards also maintain investment accounts of more than $35 billion for the long-term maintenance and replacement of common property, e.g., roads, swimming pools, structures and elevators. The estimates provided above for associations are derived from U.S. Census publications, the American Housing Survey, IRS Statistics of Income Reports, consultation with CAI professional members and state-specific data from California and Florida and related trade organizations. Check Out the CMCA Corner Blog! Hi, I’m Dawn Bauman, executive director of the National Board of Certification for Community Association Managers. Yes, it’s a mouthful. Please call us NBC-CAM. Coursework in accounting, collections, contracting, ethics, facilities maintenance, finance, governance, insurance and risk management and the law. Adherence to a code of professional ethics and continuing education in the field. CMCA Corner is a blog devoted to helping CMCAs like you share stories, get information, find ideas, get to know each other and see the lighter side of your work. Please start a new post or comment on another post; that’s how we will make this community successful. I will cover topics related to all areas of community association management, governance, leadership and current events. What’s more, I’ll introduce you to your fellow CMCAs, so you can see how the field attracts smart, hardworking good people. It’s amazing to me that despite the job pressures, CMCAs are some of the warmest, sanest and most level-headed people I know. You’ll find out what your colleagues like to do for fun, and their favorite parts of their jobs. I’m not a manager, but I work with respected professionals across the field. I know we can count on them to share their wisdom in this blog, too. Check back regularly for new content. CMCAcorner.com will be updated regularly with newsworthy stories, ideas from community association managers and information about the industry. Post a comment or share a story. Your experience and thoughts will make this community successful. Add CMCAcorner.com to your Favorites or Bookmarks. Add CMCAcorner.com to your internet browser favorites by clicking on the star icon or adding a bookmark. Drag the CMCAcorner.com tab into your browser’s toolbar for one-click access to the blog. Add CMCAcorner.com to your RSS feed. Adding the blog to your RSS feed will allow you to easily stay informed by retrieving the latest content. Click on the orange RSS iconto add CMCAcorner.com to your feed reader. Or click on the RSS- Posts or RSS – Comments links to add CMCAcorner.com to your feed reader. Go here to create your own RSS feed. Click subscribe and enter CMCAcorner.com to stay connected. Have the CMCAcorner.com posts sent to your email. Type in your email address at the left to receive notifications of new posts by e-mail. Stay connected by liking us on Facebook or Joining our LinkedIN Group. Click the Facebook link on the left to check out our Facebook page and LinkedIN Group! You can submit photos and stories about community association management to our wall. What kind of mobile device do you use? NBC-CAM e-mails important reminders, e-news and CMCA updates to each of you. If you’re like me, you read a lot of your emails on your phone. We are optimizing our emails for better readability on your phone, but first we need to know what you’re using. Please take this quick poll! Your input is appreciated.